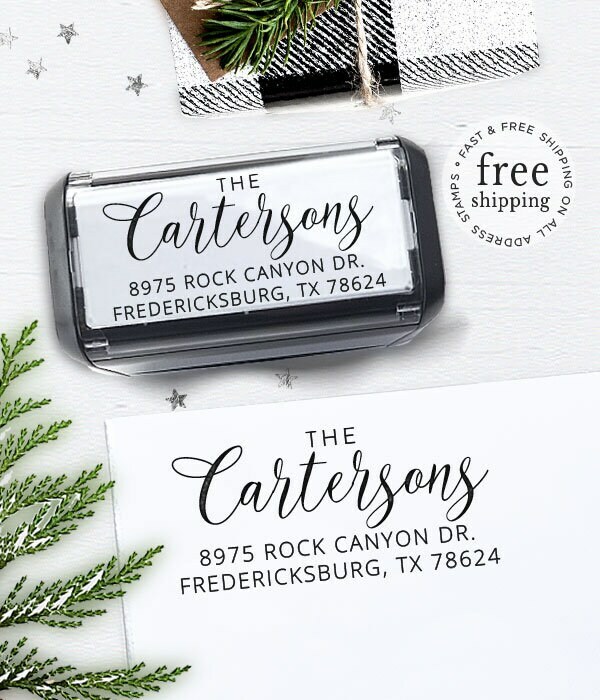 If you would like "the" included please include it with your name: "The Catersons" or if you would like just your last name please write it as "Carterson"
I love this stamp. I received one from my husband when we purchased our new home, and I like it so much that I purchased one as a wedding gift. I also love that you are so close by - love supporting a fellow Houstonian business owner! Super cute! All the letters dont get covered in ink ,so it's a little hard to read one of the names.Im not sure if there's any way to adjust it. But it definitely saves lots of time!